We'll help you save on Blue Cross Insurance! Blue Cross is one of the most recognized names in travel and health insurance, and ThinkInsure can help you compare insurance options. Our insurance brokers can help you with all your travel insurance and health insurance needs. To get started with your Blue Cross insurance quote, contact us and we’ll help you get the coverage you need. Blue Cross insurance is one of the most trusted and well-known names in travel and health insurance worldwide. In 1939, Manitoba was the first province to introduce Blue Cross plans, and with the introduction of Medicare in the 1960s, Blue Cross adapted their plans to complement government programs and offer supplemental coverage. Today, 1 in 4 Canadians choose Blue Cross for travel insurance, and millions more choose Blue Cross for supplemental health insurance coverage. With offices across the country, Blue Cross offers customized travel and health insurance coverage for each province in Canada, ensuring you get the specific insurance coverage you need, no matter where you live in the country. Why Get Blue Cross Insurance Quotes? They’re one of the most recognized name in travel insurance worldwide. They have specialized in travel and health insurance for over 70 years. You have access to 24/7 emergency assistance. You can get travel insurance coverage of up to $5 million. They offer affordable travel insurance plans for all types of travellers. Blue Cross offers comprehensive travel insurance coverage for all types of trips and all types of travellers. Through CanAssistance, Blue Cross offers 24/7 travel assistance for any emergency situation while you are travelling. They can recommend a doctor or hospital, help with travel issues and more. These plans offer you coverage for drug costs, dental care, hospital rooms, vision care, massage therapy, physiotherapy, medical equipment, travel insurance, and more. 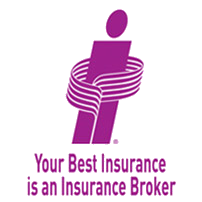 ThinkInsure brokers are here to help you compare Blue Cross insurance quotes. Whether you are planning your next vacation or exploring your health insurance options, our team is happy to answer your questions about Blue Cross insurance. Call us anytime!